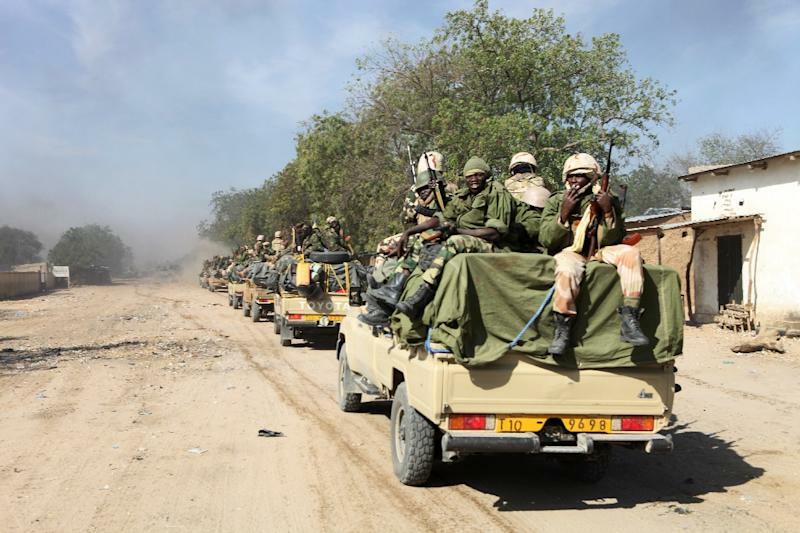 N'Djamena (AFP) - Boko Haram Islamists attacked Chadian soldiers on Tuesday, killing 11 and wounding 13, the Chadian army said, in the latest deadly raid by the militants despite a regional offensive against them. 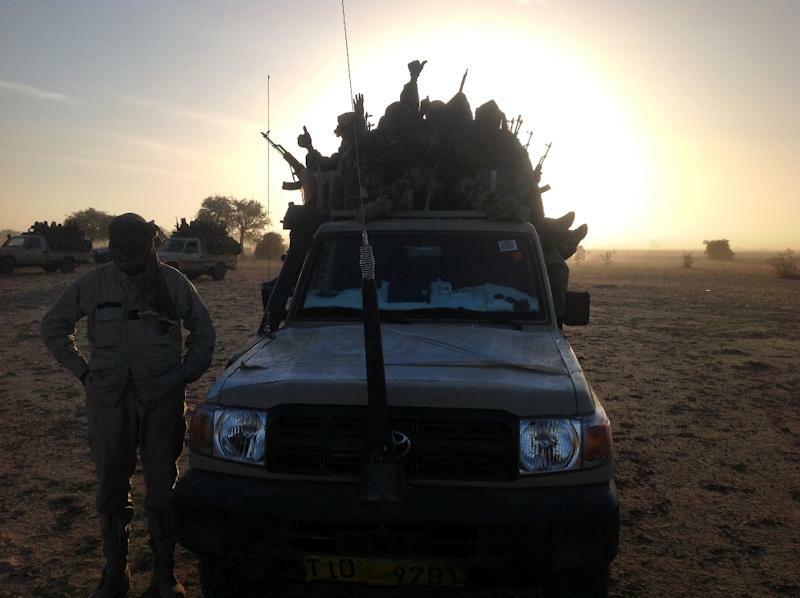 "The enemy infiltrated (Chad) from the Nigerian side (of the border) to attack positions of the Chadian forces," Chad's army chief said in a statement read by his deputy spokesman, lieutenant-colonel Adjani Djibrine. "The army deplores the 11 deaths and 13 wounded," it said. "Boko Haram members attacked our positions at 4:30 am (0330 GMT) in Kaiga Ngouboua about two kilometres (about a mile) from the Nigerian border" in the area of Lake Chad, a security source who requested anonymity told AFP. "The attackers were pushed back and the army is continuing search operations in the zone," the source said. Since the start of the year, the Chadian army has been on the front line of a regional military operation against Boko Haram whose attacks have spread from northeast Nigeria, its traditional stronghold, to the neighbouring countries of Chad, Niger and Cameroon. Boko Haram, which is affiliated with the Islamic State group operating in Syria and Iraq, has been hit hard by the offensive, losing territory, but has launched attacks and bombings in response. Cameroon is regularly targeted by suicide bombers. Attacks also continue unabated in Nigeria, where at least 18 people were killed and 41 injured in twin bombings on Friday on the outskirts of the capital Abuja. Niger was hit on Sunday in suicide attacks by Boko Haram militants that killed a gendarme and five civilians in the city of Diffa, in the southeast of the country close to the border with Nigeria. Chad has joined a regional military alliance, alongside Niger, Cameroon and Nigeria, to fight Boko Haram, which has waged a bloody insurgency since 2009 marked by mass abductions, village massacres and suicide bombings sometimes by women and teenagers. Lake Chad is shared between the four countries. Climate change has reduced its surface in recent years, but it contains many islands and islets used by fishermen and its banks have dense vegetation, which makes infiltrations by Boko Haram Islamists into Chad much easier. At least 17,000 people have been killed and more than 2.5 million made homeless since the Boko Haram insurgency began in 2009.